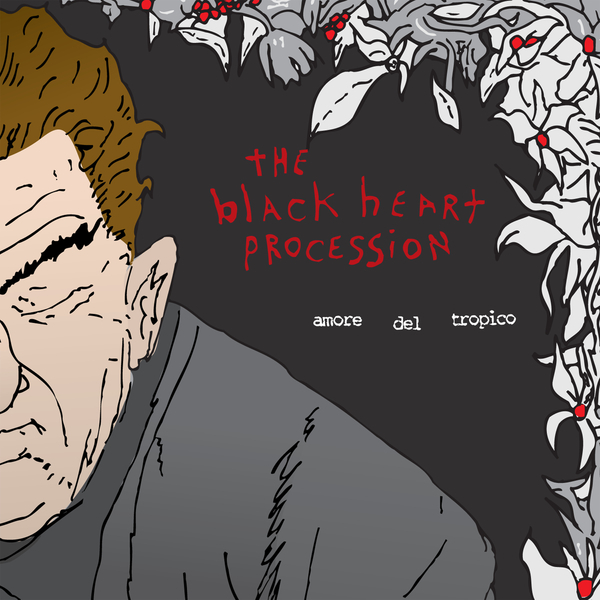 Amore del Tropico is The Black Heart Procession’s fourth long-player, and the first in their catalogue to possess a title other than a numeral. ‘Amore del Tropic’o unfolds an intriguing tale of murder and mystery, broken hearts, failed schemes, and twisted memories worthy of a David Lynch film. Violin and cello flesh out many of the tracks, as well as the trademark BHP piano lines, but perhaps most striking is the chorus of female voices that provide back-up on several of the tracks on this 55-minute record. Amore del Tropico manages to propel The Black Heart Procession into a completely new and exciting direction, but without abandoning the inimitable sonic fingerprint that makes them who they are. Gorgeous.